Editor’s Note: This news first appeared in the Quebec French press. We have paraphrased the story and added some background in order to spread the news in English. Anyone who’s followed the news in 2015 may have reason to suspect that claim. Does Coca-Cola keep its word? The Quebec Coalition on Weight-Related Problems filed a complaint against Coca-Cola in 2013. Acting on that complaint, the Office for Consumer Protection investigated the Fanta advertisement. Then this October, the Coca-Cola Company pleaded guilty to the charge of advertising to children under 13. This is an intriguing admission given Coca-Cola’s official position. Coca-Cola will have to pay nearly $28,000 Canadian dollars to the Quebec government (worth about $21,000 in USD). This area was originally intended for an older audience (youth and adolescents) and is located outside of the area for children. Consider for yourself whether this is a reasonable assumption for an amusement park’s water play area. 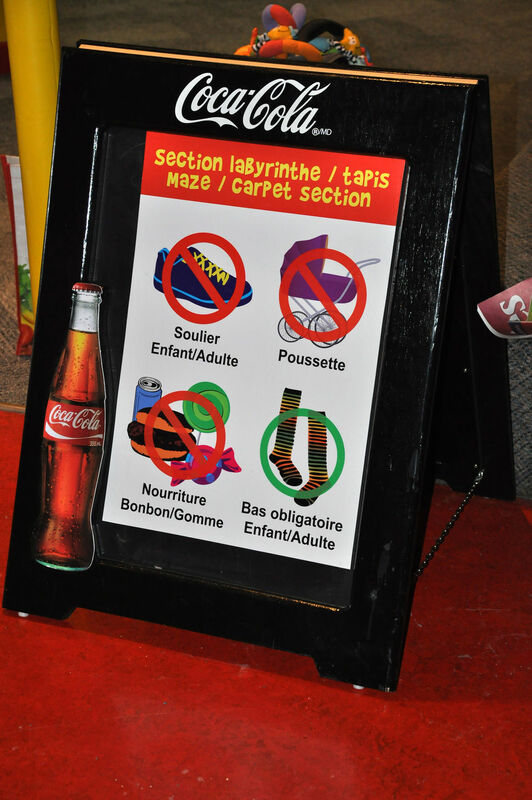 Applying Coca-Cola’s own standard, is it reasonable to expect that fewer than 35% of the children playing in an amusement park’s water play area are under 12 years old? 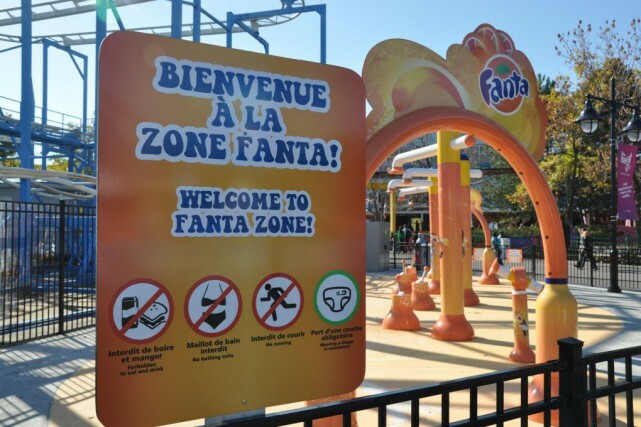 Le Journal de Montreal has published evidence that the La Ronde Amusement Park ad is not an isolated incident. Below is a photo from a maze for children 3 and under from the Jungle Adventure Amusement Park. The Quebec Coalition on Weight-Related Problems has also filed a complaint regarding this ad. We await the verdict.